HB1010XX is a funding package that includes an increase in taxes on oil and gas production, cigarettes and motor fuel. HB1011XX is a bill that limits itemized deductions for Oklahoma taxpayers. HB1023XX is the teacher pay raise plan that would increase salaries an average of $6,000. If Governor Mary Fallin signs these bills, which it appears she will, it will be the first tax increase to be signed into law in 28 years and the first teacher pay raise in 10 years. "Passing the largest teacher pay raise in state history moves us to number two in the region in average teacher pay and will help Oklahoma retain quality teachers. 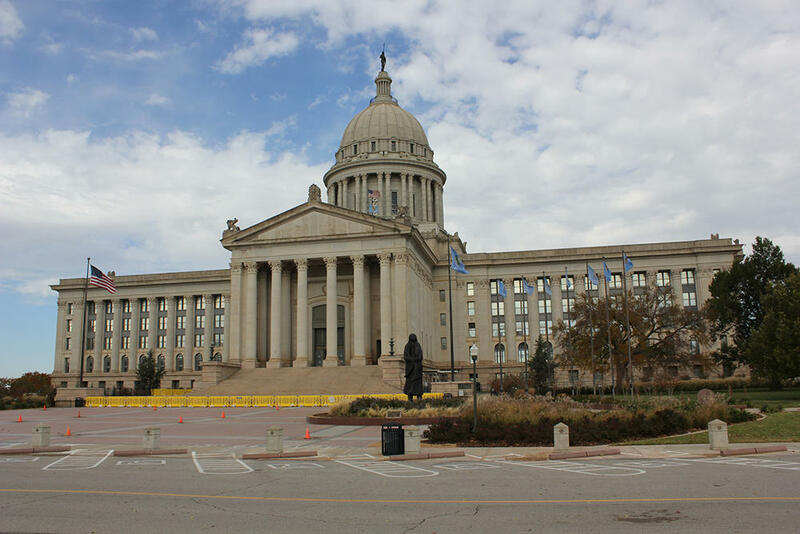 It’s a significant investment in economic development because an educated workforce is essential to growing and expanding our economy," said Senate Pro Tem Mike Schulz (R-Altus). "This is a responsible plan that answers Oklahomans’ call for the Legislature to find a solution to teacher pay." But the Senate only passed three of the 12 bills in the plan. Senators rejected a $5 per night fee on hotel and motel rooms that passed the House of Representatives on Monday. The Senate wants the House to repeal the new tax, amid heavy lobbying from hoteliers this week. It's unclear if the tax will be reduced or eliminated with this plan. It currently represents $50 million of the money needed to fund raises for state employees, teachers and school support staff. The rest of the bills are expected to be voted on before the end of the week. Those bills include pay raises for public employees and education support staff, a cap on cigarette tax stamps, the creation of the State Health Care Enhancement Fund, the expansion of tribal gaming, and more. While elected officials applauded and high-fived one another, the Oklahoma Education Association and the Oklahoma Public Employees Association confirmed they still plan to walk out on Monday. The Senate looks to be done for the night, passing all three bills on the agenda with no questions or debate. There are still nine bills to this package that haven't yet been voted on by the Senate. They're expected to be considered by the chamber before the end of the week. The Senate passes House Bill 1023XX, the teacher pay raise bill, with no questions or debate. The final vote is 41 to 4. The Senate passes House Bill 1011, a bill placing caps on itemized deductions, by a vote of 28 to 18. There were cheers in @OKSENATEINFO when HB1010XX passed. If the governor signs it, it will be the first tax increase in the state in 28 years. @GovMaryFallin is on the floor to watch tonight's votes. These bills are now on the way to her desk for consideration. This is in an effort to avoid a teacher walkout that's supposed to start Monday. Sen. Holt arrived on the Senate floor and votes yes. Sen. Pittman also votes yes, again. Final tally is 36 to 10 and HB1010XX passes the Senate floor. The Oklahoma Senate is voting on House Bill 1010XX, the linchpin bill for funding the pay raises for teachers, education support staff and public employees. There were no questions or debate. The vote has been sitting at 34 to 10 for several minutes. As a revenue bill, it needs 36 votes to pass. Sen. Pittman (D-Oklahoma City) pulled back her vote (it was a yea), Sen. Bill Brown (R-Broken Arrow) and Sen. David Holt (R-Oklahoma City) are not on the floor, and Sen. Joe Newhouse (R-Broken Arrow) is on active military duty and will not vote tonight. A potential statewide teacher walkout is planned for this coming Monday, if lawmakers don't provide funds for raises for teachers and educational support staff, as well as a restoration of education funding. Some state workers are planning on joining the teacher walkout to demand raises for those in their ranks. Earlier this week, the Oklahoma House passed a series of bills that would raise taxes on cigarettes, oil and gas production, hotel rates, and motor fuel. The Oklahoma Education Association, the state's largest teachers union, and Oklahoma Public Employees Association both said it was a step in the right direction, but not enough to avert a statewide teacher and public employee walkout on April 2nd. In the days since, oil workers and hoteliers have voiced their opposition to the increased taxes on their industry at the state capitol. Tonight, the Oklahoma Senate is planning on hearing the bills passed by the House earlier this week. We hear there will be several amendments to those bills, including an increase in teacher pay for those that are currently paid above the salary minimum. Part of the negotiation with the Senate is to repeal or reduce the proposed $5 per night fee for hotel/motel rooms. The House may amend that bill Thursday. It would prevent the HB1010XX, the big revenue bill that required a 75% majority from going back to a vote in the house. Senate is expected to convene at 6 pm to hear the bills. You can watch the debate live HERE. Senators have been behind closed doors negotiating for more than three hours Wednesday as the capitol has filled with people from various industries including hoteliers and oil and gas producers. Only three bills are on tonight's agenda: House bill 1010XX, House Bill 1011XX and House Bill 1023XX. House Bill 1010XX is the bill that is the revenue package that requires a 75% majority. From what we know, Senators want changes to this bill, but because it requires a super majority and has struggled in previous iterations, they don't want to send this bill back to the House. So, they'll do some legislative maneuvering. The Senate wants the House to amend the House Bill 1012XX, which originally capped the tax credit for wind farms. Instead, they want it to repeal the $5 per night fee on hotel and motel rooms. There has been heavy lobbying from that industry at the state capitol since Monday. They say the fee will deter conventions from coming to the state. They are basing that assumption off a similar bill passed in 2017 in Georgia. We are trying to confirm what actual effect it had there. That fee represents $50 million of the money needed to fund raises for state employees, teachers and school support staff. It is unclear how they would replace that money. It's also unclear whether it would be a reduced fee or if the fee would be totally eliminated from the plan. House Bill 1011XX would cap itemized deductions. The Senate has previously been lukewarm on this idea. So, it's somewhat surprising to see them consider it all. House Bill 1023XX would put the teacher pay raises into state statute. It would also make srue that teachers in districts that already pay above the state minimum salary would also see an equivalent pay increase. HB1023XX could be controversial especially for schools in rural areas who are off the state funding formula. This means that instead of getting money from the state, they get money from taxes on wind farms or oil and gas production. Even if they are not bringing in a high enough level of money, they would still be responsible for the raises. Many of these schools already pay teachers more than the required state minimum salary. The remaining nine bills could be taken up in the coming days. As was the case in the House of Representatives on Monday, House Bill 1010XX is the linchpin. If the funding measure does not receive a 75% majority, the rest of the plan is in serious jeopardy. We will be updating this post as we learn more. A revenue package that included several tax increases passed the Oklahoma House of Representatives Monday night, the first time a tax increase has passed the House in 28 years. It was a late night for the Oklahoma House of Representatives in an effort to avoid a teacher and public employee walkout next week. After several failed attempts over the last 17 months to find funding for a teacher pay raise, Democrats and Republicans struck a deal over the weekend. The Oklahoma Senate is now considering a package of bills to increase tax revenue to give raises to teachers and public employees. Among the targeted increases are taxes on oil and gas. On Tuesday, the energy industry showed up to the capitol to rally against the proposal. 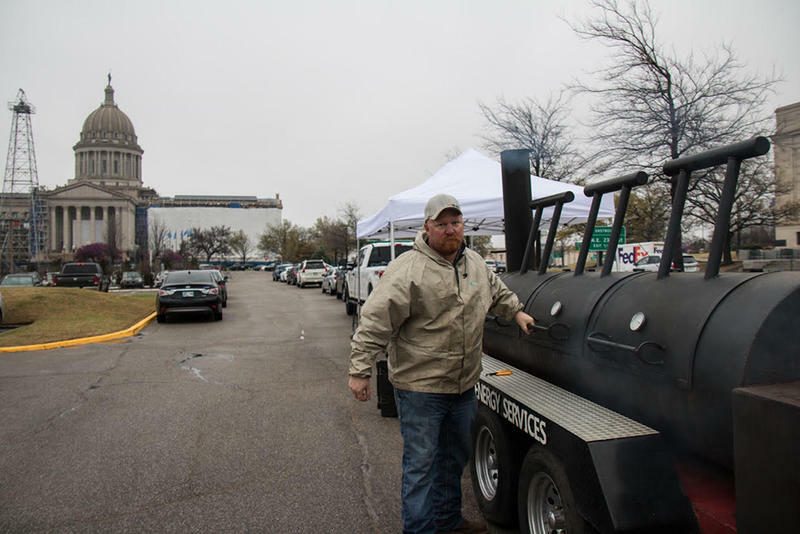 Outside the capitol, oil-field workers arrived early in the morning to set up and stoke enormous trailer-pulled grills and smokers to feed the public and legislators, and remind them of the oil industry’s status as a top job-maker.